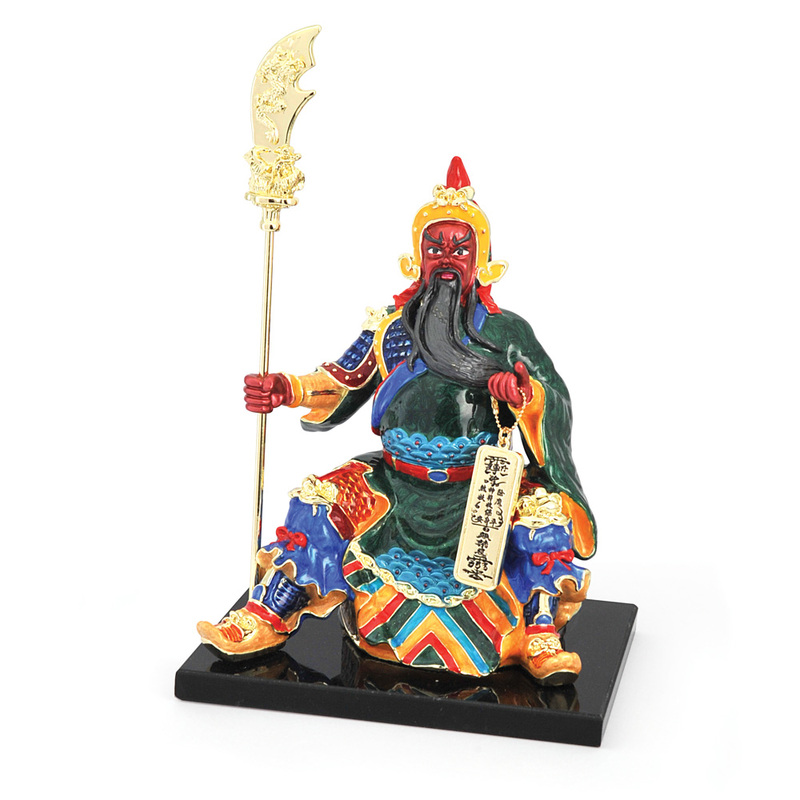 Kuan Kung who wears the dragon robe and holds the Guan Dao sword is the famous Chinese God of War. 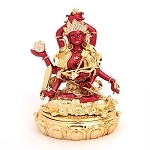 It is regarded as the god of wealth as well as the protector of the politicians and business leaders alike. Guan Dao sword with dragon pictures can prevent from bad energy and evil. He is the god of the protector. Kuan Kung is also known as Guan Gong, Kwan Kong, Kuan Kong or Kong Chang. He is one of famous Chinese general during the late Eastern Han Dynasty and Three Kingdoms era of China (206 BC - 220 AD). Display sitting KuKan Kung anywhere in home or business but looking at the main entrance door and you will stay safe from burglars and negative people. Kuan Kung is also an excellent Feng Shui placement to put in the Southeast during 2019 where the red 7 star resides. He protects against all burglary energies that may be hovering near your home.